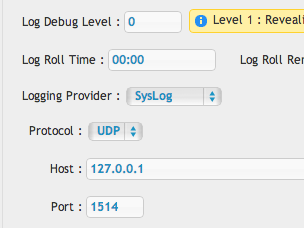 Syslog can be used to send all logging data to a remote syslog server. When enabled a local log file is not maintained. Syslog can be used to send all logging data to a remote syslog server. When enabled a local log file is still maintained and rolled based on the configuration.